Mega fans are highly elated with the fact that the day they all have been dreaming of since many years is finally arriving. On the 11th of this month, Megastar Chiranjeevi’s most eagerly awaited 150th movie, Khaidi No.150, is hitting the screens amid an unprecedented craze. 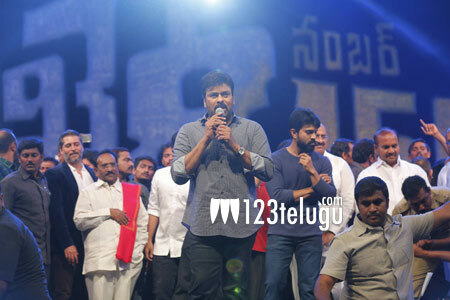 To all those who have been wondering what would the man, Chiru himself, be thinking about his silver screen comeback, Chiru reveled it last night at the pre-release event. Chiru said that acting in his comeback movie after 9 long years is like a lover waiting to meet his soulmate, fans in Chiru’s true meaning. Chiru also thanked his sea of fans for their continued support all these years.